The Chester County Historical Society (CCHS) announced Tuesday that it had received an implementation grant of $400,000 from the National Endowment for the Humanities for the upcoming exhibition Chester County: A Place in History. The grant program is extremely competitive. Of the 212 grants awarded nationally, CCHS was one of only ten to receive funding in the Museums, Libraries, and Cultural Organizations Planning and Implementation category. 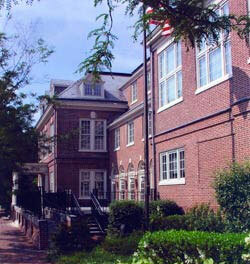 The Chester County Historical Society’s new 6,000 sq. ft. permanent exhibition Chester County: A Place in History will highlight CCHS’s nationally recognized permanent collections with a depth of interpretation that will enable visitors, local and distant, to understand more about this community and their relationship to it. This innovative re-installation and expansion project will feature stories about people, places and events that make this vibrant county unique. CCHS will be able to increase access physically and electronically to more objects, photographs, and manuscripts than ever before through the exhibit and an adjacent gallery featuring visible storage. The exhibition is scheduled to open in 2017. Meehan announces $42K federal grant for Longwood Fire Co.